Do you have an interest in video games such as Smash 4, Melee, or Tekken? 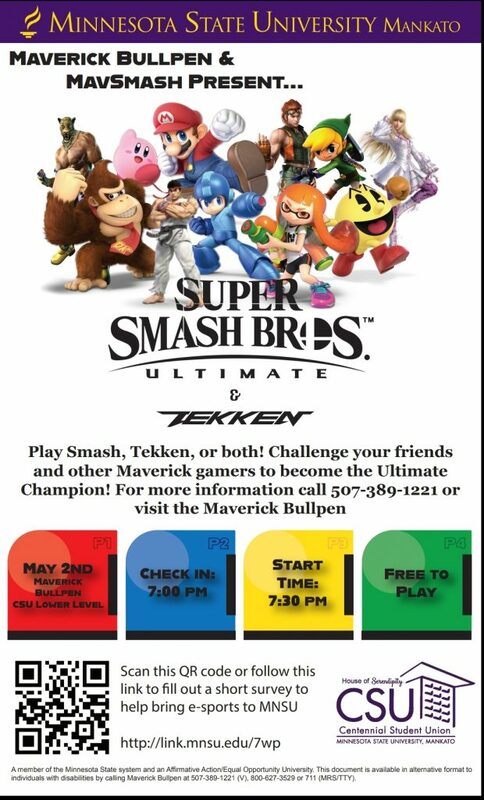 On May 2, MavSmash will be hosting a tournament for these different video games at the Maverick Bullpen. Check in and signing up for a bracket starts at 6 p.m. and the actual tournament starts at 7:30 p.m.
MavSmash is a newly developed club right here on campus at MSU. It is meant for video gamers alike and anyone who would like to join is welcome to become a part of it! Even if you are at best average at playing video games, they are willing to teach anyone. “We are very welcoming and want more students to be enrolled and engaged,” Ruiz said. So come out for a fun event of video games and getting to know people who have similar interests! Quasimodo (Billy Gleason) is delighted to be “On Top of the World,” in the bell tower of the Cathedral of Notre Dame, with his new friend, Esmeralda (Delanie Wiedrich). Minnesota State Mankato’s production of The Hunchback of Notre Dame follows the Disney animation storyline and features music written by composers of such blockbusters as Wicked and Beauty and the Beast. 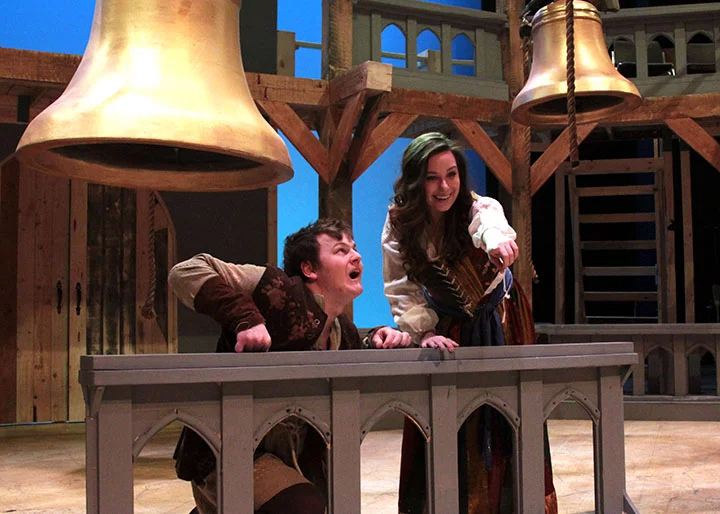 The bells of Notre Dame will ring this weekend as cast and director of “The Hunchback of Notre Dame” at Minnesota State University, Mankato enter final performances reflecting on this week’s devastating fire of the iconic 850-year-old cathedral. For Paul Hustoles, director of Minnesota State Mankato’s Theatre’s latest musical, said production plans started over a year ago for this adaptation based on the Disney animation of Victor Hugo’s 1831 classic,. This week’s Notre Dame Cathedral fire proved to be an eerie twist of fate. “This is just a really strange coincidence that it would happen while we are doing the show,” Hustoles said. Final weekend performances of “The Hunchback of Notre Dame” are Thursday, Friday and Saturday at 7:30 p.m. with a Saturday matinee at 2 p.m. All performances are in the renovated Ted Paul Theatre in the University’s Earley Center for the Performing Arts. Remaining tickets for this weekend may be purchased through the theatre box office open weekdays from 4 to 6 p.m. Tickets by phone can be purchased at that time by calling 507-389-6661. Hustoles said the cast hasn’t met since the fire, but he spoke with key cast members after watching shocking scenes from Monday’s fire. He added that one of the show’s special effects may have heightened emotional impact for cast and audience. “One of the big things that happen in this show – it’s rather spectacular – the bells fly in. It will be very interesting to see what the audience does when that happens,” Hustoles said. He added that the bells and the rose window featured in the performance were among those notable cathedral features spared by firefighting efforts. The director said other aspects of Hunchback’s storyline are as timely as today’s headlines. Written in 1831, The Hunchback of Notre-Dame is Victor Hugo’s tale of Quasimodo, the deformed, yet tender-hearted, bell ringer for Notre Dame who is shown compassion by a young gypsy street dancer. The Disney version of tragic love told through animation and music raised awareness and controversy around what is interpreted as good and evil, ugly and magnanimous. Having done previous stage versions of Disney productions, Hustoles said he wasn’t planning to direct this show until the musical director suggested he take a second look. The show’s music also features two heavy hitters. Composer Alan Menken is credited with the musical score for such Disney animated blockbusters as Little Mermaid, Beauty and the Beast, and Aladdin. Lyricist Stephen Schwartz is best known for the Broadway smash hit, Wicked. Hustoles said the cast of Hunchback is one of the largest for an MSU production. Along with the leads and support cast, the show features an onstage choir comprised of students from the music department. The title role features Billy Gleason as Quasimodo. Senior All-American Actor Mathew Sather appears as Captain Phoebus. That song, “Someday,” has earned “screaming ovations” for Wiedrich in the opening weekend, Hustoles added. Hustoles added that last Thursday’s snow also caused audience members to move their reservations to the second weekend. One thing is for certain, audiences of this Disney musical will have a distinct historic perspective of an eight-century-old cathedral set against a 19th century social tale wrapped around today’s headlines of destruction and rebirth. Some could say that is theatre at its finest. Organized eSports Coming to Minnesota State Mankato? Take the gaming survey to provide feedback on gaming habits like systems used and games played. One of the fastest growing communities in the world could soon have a new home at Minnesota State University, Mankato. A group of Minnesota State Mankato staff recently completed a research report on eSports and its presence across colleges and universities across Minnesota and the rest of the United States. The report was submitted to University administration and is being reviewed to determine the feasibility of having eSports as an active part of student life at Minnesota State Mankato. Ben Nelson, marketing & facilities coordinator for MSU Campus Recreation, has been one of the leads on the research and thinks bringing eSports to campus could help build friendships and community. Nelson and the team have been surveying campuses similar in size to Minnesota State Mankato to find out if they have an eSports program and, if so, how it operates. 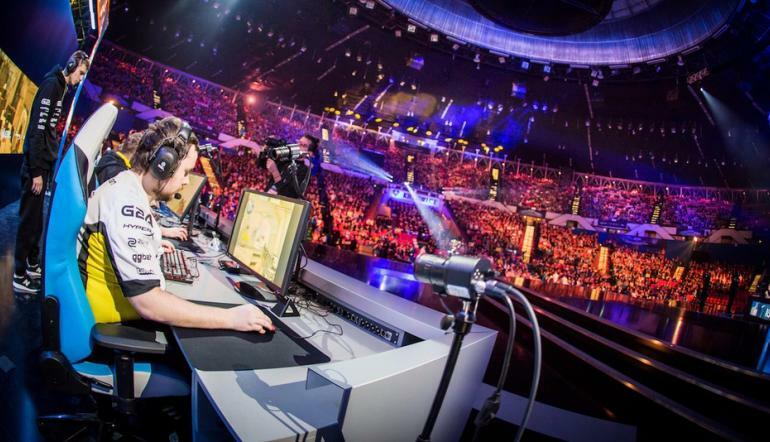 They found that although several campuses have eSports programs, there doesn’t appear to be one magic recipe for how eSports groups are started, funded and supported. Not even the National Intramural-Recreational Sports Association (NIRSA), a leader in advising campus recreation programs, had an idea of where to house eSports. Nelson thinks Minnesota State Mankato would benefit most from housing eSports in Campus Rec with a mix of intramurals and competitive club teams. “The most likely route would be an eSports umbrella with subsequent RSO’s dedicated to different games underneath that umbrella,” Nelson said. But getting to that point will still require funding and resources from the University. Nelson said the University would have to determine if it wanted to invest in gaming systems and computers, a dedicated space for the gaming, travel and/or other expenses associated with the formation of eSports. There’s no timeline for eSports at this time as the preliminary research just concluded and was passed on to administration. Nelson said if students continue to show interest and support, it could help push the idea forward. He said the best way for students to help is go to the Campus Rec Facebook page and take the gaming survey to provide feedback on gaming habits like systems used and games played. From a Midwest university to the national spotlight of a popular reality TV series, Minnesota State Mankato alumna Becca Kufrin said high-profile romance brought love and anxiety, friendships and life-changing experiences. Following a heart-breaking end to her romance with Arie Luyendyk Jr. on the 22nd of ABC’s reality series, The Bachelor, Becca returned to the mansion, but this time as the lead of the 14th season of The Bachelorette. At the conclusion of her season, Kufrin’s second chance at love lead to her engagement to Garrett Yrigoyen. Minnesota girl turned celebrity, Kufrin said The Bachelor and The Bachelorette, thrust her into the public spotlight. A double dose of reality TV romance also came with “new learning curves and anxiety-ridden situations” that often accompanies celebrity status. Despite the changes Kufrin is still adjusting to in her life, she doesn’t regret her decision to appear on the Bachelorette. “I would do the Bachelorette again because it brought me to Garrett and new friendships, but I wouldn’t necessarily sign up to be on TV again,” said Kufrin. For Kufrin, making it onto The Bachelor series was a lengthy procedure. “The overall process was quite long. I had to submit several questionnaires and images, video, attend two casting calls, complete a psych test and background check,” she said. Kufrin said she attended her first casting call in New York City. Her best friend’s wedding fell on the same weekend as the nearest opportunity – “which was in Chicago,” she explained. “Thinking it better be worth it, I used all of my Delta Skymiles to fly out for it,” she added. As both the winner on Season 22 of The Bachelor and the lead in Season 14 of The Bachelorette. Kufrin said her experiences gave her a unique viewpoint of the reality show franchise. “Almost all travel, date activities and celeb appearances are locked and loaded well before each season begins. I don’t find out about any of it until moments before. I was able to give my input for date ideas, which is why the Lumberjack date was planned, other than that, almost everything is already set.” Kufrin explained. For future contests or people interested in participating in the Bachelor or Bachelorette, Kufrin offers a piece of advice. “Really think about your life and how much it will change,” she said. “In this world of social media influx, be prepared for everyone to insert themselves in every decision you make, action you take, or word you utter. Once it begins airing, things will never be the same. “But on a lighter note – you’ll have a handful of cool experiences and friendships (and hopefully love) that you’ll take away from it,” Kufrin added. How did what you learned during your college experience prepare you for the challenges that you have faced on the Bachelor and the Bachelorette. College forces everyone to be around a variety of people and opinions, and the bachelor/bachelorette is no different. I went into each season preparing myself for a multitude of differing opinions and personality types but knowing to respect everyone I came in contact with, even if I didn’t agree. College also taught me to accept and embrace change (it was the first time I lived away from my family, had to pay bills and adult on my own, and learn to grow up), and the show was the biggest changing point in my life, so college just helped pave the way for me to start on the next journey in my life. What made you decide on Minnesota State University, Mankato? Share a favorite college memory and/or experiences at Minnesota State Mankato? Why did you decide to pursue a degree in Mass Media with an emphasis in Public Relations? I originally wanted to work with a non-profit organization and knew that PR would be the most beneficial degree for this type of industry. I wanted to be very interactive with people and clients and thought PR would offer the perfect variety for this. How did Mass Media help you in your career? Mass Media in general helped with a general knowledge of PR and looped in other skills and lessons needed for any job. With it I learned how to be more concise but also how to target groups with specific messages. Did/do you have any faculty or staff members that went the extra mile to help you during your time at Minnesota State Mankato? Both Chuck Lewis and Ellen Mrja are some of the professors that stand out to me even years after being away from MNSU. They kept lessons interesting & fun, and allowed me to come to them after hours to help answer any questions I had. 6. What advice would you give to Mankato State University Mass Media graduates as they begin looking for jobs? “Internships and networking are key. Even if an internship isn’t paid, take it and learn as much as you can in a short amount of time. Also intern within different industries to see what you really enjoy or excel at. As someone who always thought she’d work in non-profits, I quickly learned that as much as I loved helping, it wouldn’t necessarily be sustainable as a career for me personally. Jonny B’s remains a popular hangout (it now has a second Mankato location). What was your favorite thing about working there? Favorite thing to order? Favorite things about working at Jonny’s: 1) Jonny himself is an amazing man and I love him to death. 2) Karaoke nights are pretty entertaining. 3) Everyone I worked with became like a family. And the best thing to order…even though Jonny probably wants me to say the roast beef (which is wonderful with a side of au jus), my favorite thing was something not even on the menu. Next time ask for the crispy chicken sandwich tossed in a mixture of frank’s red hot and ranch dressing – you won’t be disappointed. Women Interested in being part of STEM while expanding etiquette experiences will participate in the Thursday, April 4, STEM Networking Dinner. The event, which includes an etiquette dinner featuring Deenna Latus Steinhaus, owner of Etiquette and More, is from 5 to 8 p.m. in the Centennial Student Union Ballroom. Pre-registration was required. Over the last nine years, Steinhaus as presented programs to students, alumni, faculty, and staff on the topics of dining etiquette, professional dress, business etiquette and behaviors, and transitioning from student to professional. This event is hosted by the Minnesota State Engineering Center of Excellence and the MSU, Mankato Women’s Center and College of Science, Engineering and Technology, and sponsored by Regenerative Medicine Minnesota Education Program Grant, Design Ready Controls, and Finley Engineering. The event provide a networking opportunity for post-secondary students in STEM degree programs. Student participants can meet and learn from individuals within different STEM careers. This event includes an etiquette dinner and keynote speaker. The free event is open to anyone but registration is encouraged. Sign up today and quick start your opportunities! 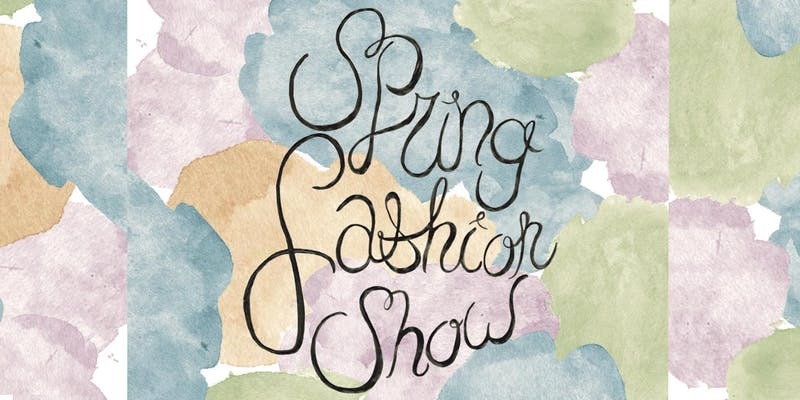 The finale to Mankato’s Next Top Model competition will take to the fashion runway as the MSU Fashion and Commercial Photography Club hosts its Spring Fashion Show Friday, April 12, at 7 p.m. in the CSU Ballroom. This event featuring four finalists showcases a variety of spring fashions and is the crowning moment for the FCPC’s model competition. The Mankato Next Top Model is a six-week competition that started with 12 models. Each week a photographer picks a theme and does a photo shoot with all models, after this pictures are taken, photos were post on the club’s Instagram page @fcpcmankato. The score of each models are added together and the model with the least score is eliminated. The model with the least score can avoid elimination is by having the highest like on Instagram, if that happens the model with the second least score gets cut from the competition. The finalists are going to be the final four models left in the competition after week five judging. Audience members will get an exclusive look at spring couture from Vagabond Village, a charming vintage consignment shop in downtown Mankato. The event will feature over 25 unique outfits showcased on the runway. At the end of the show, finalists will individually take the spotlight to showcase their catwalk skills. With the help of the audience, a winner will be crowned. “The members of FCPC will be taking photos of the event and this helps their portfolio by showing their ability to do various categories of photography,” said Oluwadoromi. Ticket prices are $3 in advance, $5 at the door. The event is open to students and the public. Purchase tickets online at https://www.eventbrite.com/e/mankatos-next-top-model-finale-tickets-58499625956 OR follow FCPC on Twitter @fcpcmankato for information on CSU ticket sale dates and for the chance to participate in exclusive ticket giveaways. Positive change will be coming to the Minnesota State Mankato campus April 22-25. as various campus organizations show how students can make a difference and be the change for major issues facing all Mavericks. Lydia Jagodzinski with the Student Events Team coordinating the event, said the week brings awareness to campus issues and moves toward addressing them in a better way. On Monday April 22, the Veteran’s Resource Center will be advocating for Veterans on campus. In the week preceding, the Veteran’s Resource Center also has many Veteran focused events scheduled. For more information regarding those events, click here. On Tuesday April 23, the Women’s Center will be discussing and advocating for change regarding bystander awareness. On Wednesday April 24, the Community Engagement Office will discuss food insecurity. On Thursday April 25, the Counseling Center will discuss coping skills and mental health awareness. All of these issues affect most students, faculty, and staff members. Each of these organizations will not only get to showcase themselves to the people on campus, they will get to advocate for and be the change at MSU. For more information on Mavericks Be the Change contact Lydia Jagodzinski from Student Activities Lydia.jagodzinski@mnsu.edu. Stephanie Schriock, Alumna and President of EMILY’s List speaks at the April 10 annual Carol Ortman Perkins Lecture. With more and more women are making their mark on political issues and the political world, Minnesota State Mankato alumna Stephanie Schriock seeks to empower pro-choice, Democratic women to run for office. 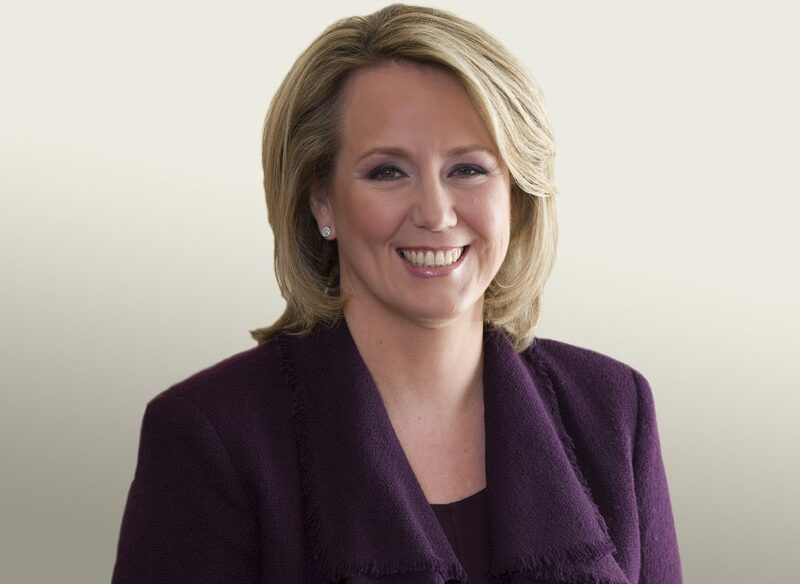 Schriock, president of EMILY’s List, brings her message to the Centennial Student Union Ballroom on Wednesday, April 10, at 7 p.m. for this year’s 14th Annual Carol Ortman Perkins Lecture. 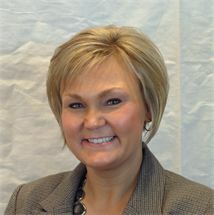 Liz Steinborn-Gourley, director of the Women’s Center said Schriock was selected for this year’s lecture to heighten awareness to the potential for women in politicis. “I think that the political landscape is shifting in the United States to have more women representing their communities in office, and Stephanie can speak to that on a national level,” Steinborn-Gourley said. Tickets are free, but space is filling up, so be sure to get tickets ahead of time! EMILY’s List assists in recruiting strong progressive female political candidates across the country. The program assists campaign funding efforts, research and getting women out to vote. With some 5 million followers, EMILY’s List assists and recognizes more than 1,200 women who have won elections at various levels of politics. Since 2003, the Carol Ortman Perkins Lectureship, invites distinguished feminist to the Minnesota State Mankato campus. The lectureship seeks to promote feminist scholarship and activism and to encourage the exchange of ideas. Aircrafts carry more than 8 million people around the world daily. So what happens when a certain type of aircraft crashes twice in a six-month period? The world found out between March 10 and March 13 when countries all around world indefinitely grounded Boeing’s 737 MAX aircraft after a software malfunction caused Ethiopian Airlines Flight 302 to crash six minutes after takeoff with 157 passengers and crew on board. 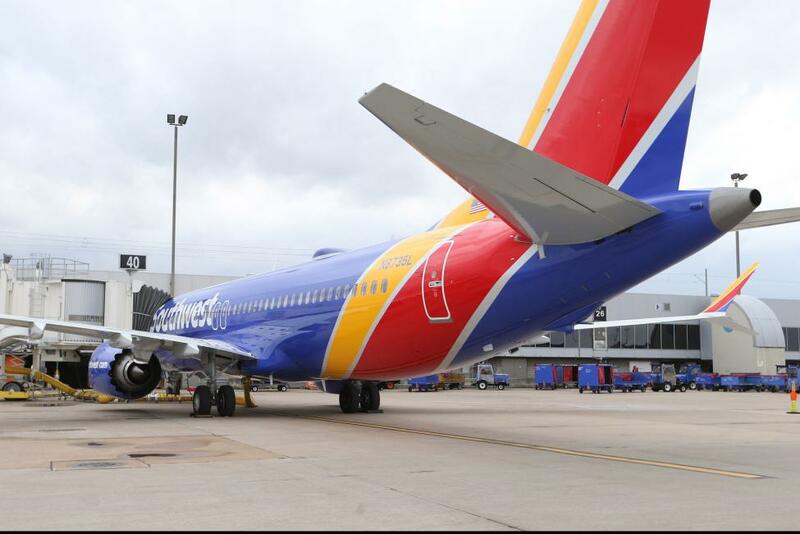 Southwest Airlines is among those that have invested heavily into the new Boeing 737 MAX. Tom Peterson, Minnesota State Mankato assistant professor of aviation, shared his thoughts on the groundings and what impact it could have on the airline industry moving forward. “I don’t think it was a bad decision to ground the planes, but it had some big implications,” he said. Passenger trust in the flying the 737 MAX along with the cost to airlines and Boeing are among the repercussions. Airlines also take a big financial hit from the groundings. The groundings also financially hit the airlines. “The airlines that are heavily invested in these 737, you know, American Airlines is one and Southwest is another one, they have to cancel a lot of flights while these things are down. So on the bottom line it’s pretty expensive,” Peterson said. Boeing’s stock prices plummeted following the groundings. Airline shares dropped $50 to $373.30 between March 8 and 14. This was after Boeing had a stock price of $440.62 – its highest in five years – just a week earlier. “Boeing’s reputation is at stake now and that could create further problems for them down the road,” Peterson said. Earlier this week, Boeing said resolving the software problem suspected for the crashes may take longer than expected. Peterson said this event may be a wakeup call to Boeing and other companies that build aircrafts. Peterson hopes that after Boeing fixes the issue that more precise and widespread training is mandated to ensure no further crashes. One of the Student Events Team’s most popular events is slated to return to the University’s Taylor Center for its third consecutive year. Check this highlight reel of last year’s Kato Ninja Warrior below. 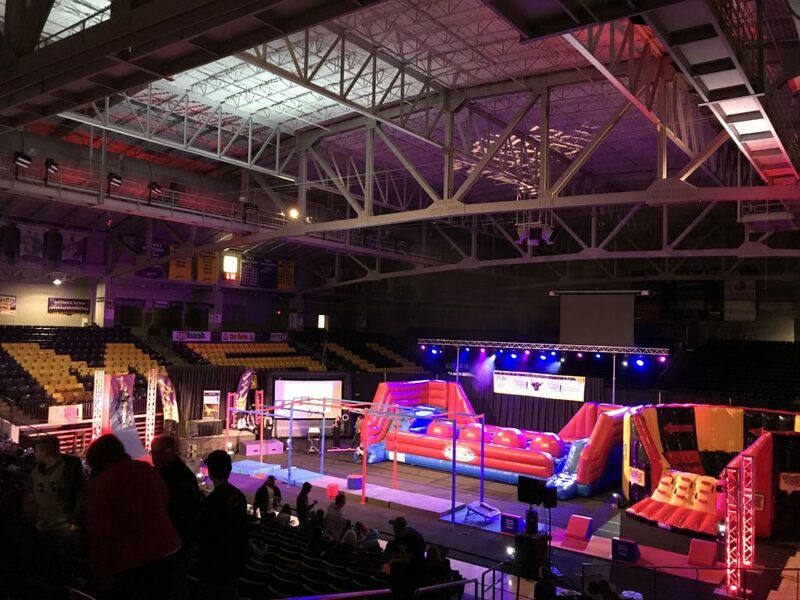 Kato Ninja Warrior, a spinoff of the popular TV show, “American Ninja Warrior” will be Thursday, April 11, from 4 p.m. to 10 p.m in Bresnan Arena. A minimal fee is charged to compete. Admission to the a 8 p.m. final event is free to students and the general public . Once again, the course provided largely by Conquer Ninja Athletics tests the limits of Kato’s best. “The course will change up a little bit. [Conquer] told us they’re bringing some new obstacles,” said Miranda Magnuson, special events chair for the Student Events Team. Other “staple obstacles” like the Warped Wall and Salmon Ladder will still be a part of the course along with inflatables. Magnuson hopes this year’s third annual event will attract regional as well as student spectators. Competition time trials will run from 4 to 7 p.m. with the top 15 times advancing to the final round starting at 8 p.m. Between 7 and 8 p.m., anyone interested can take a “Fun Run” of the course for no charge. A second “Fun Run” is available after the finals. Event registration is open and is free for all Minnesota State Mankato students. Cost is $5 for general public participants. The event is free to spectate for all.